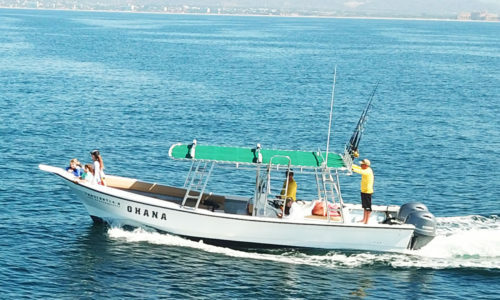 Sport Fishing in Punta Mita - Punta Mita Ocean Sports. 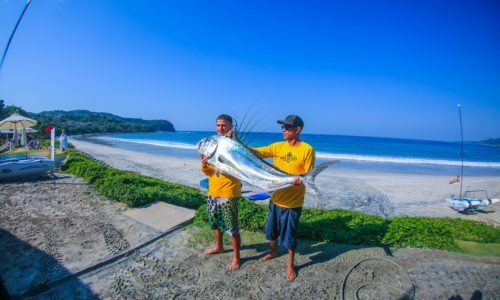 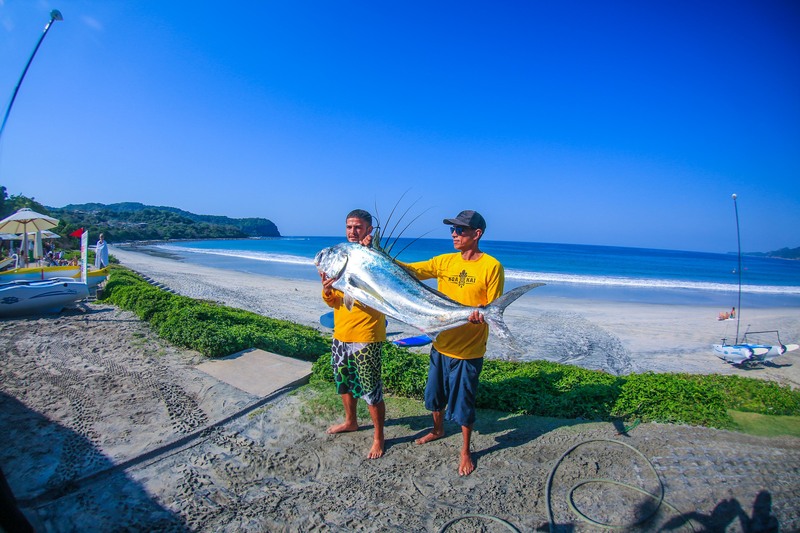 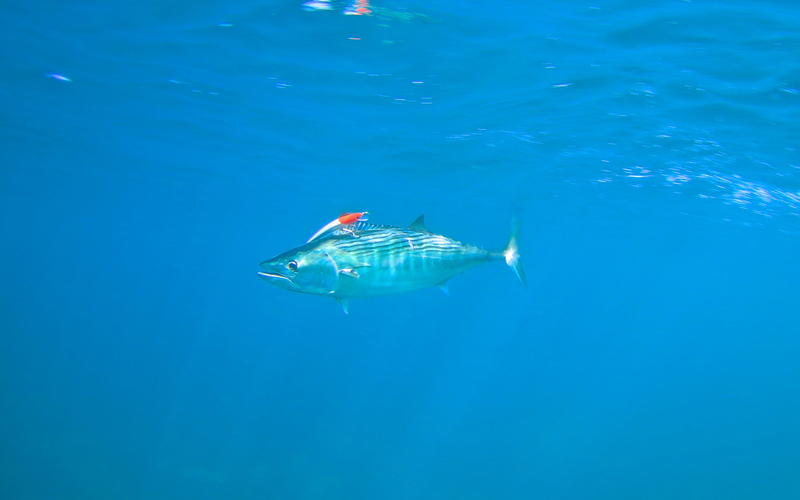 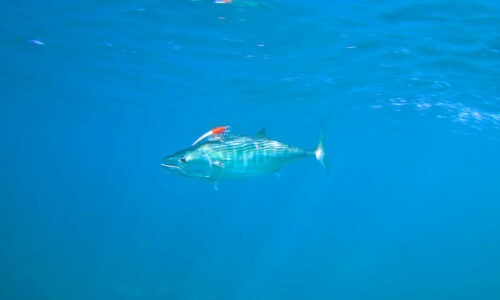 Fishing in Punta Mita is a year round activity with different species of fish running through the region each season. 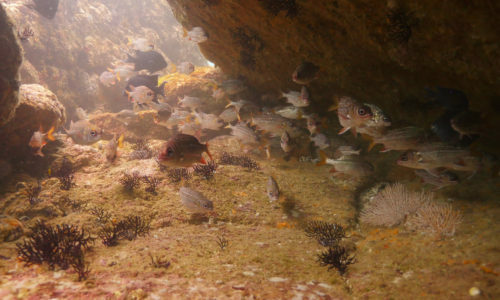 The vast Pacific waters of the area are home to a large number of species. 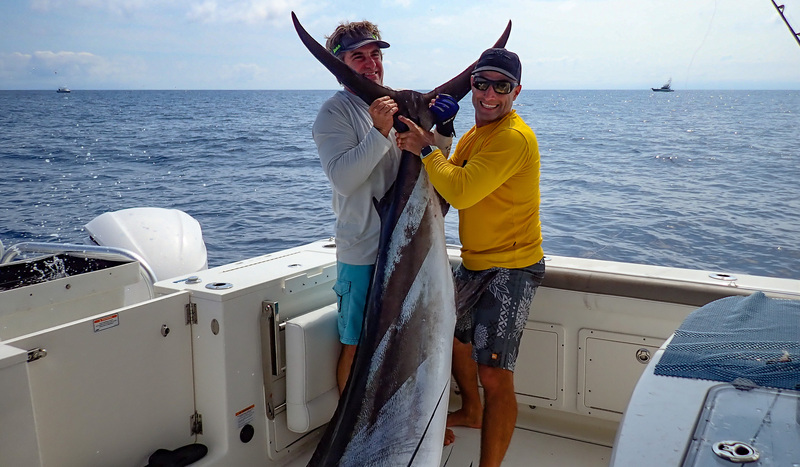 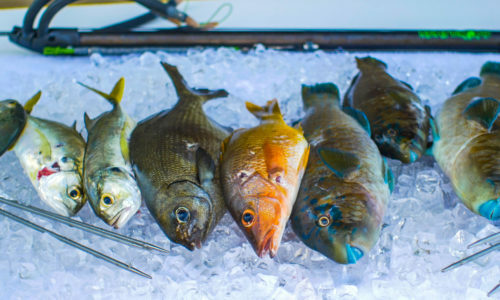 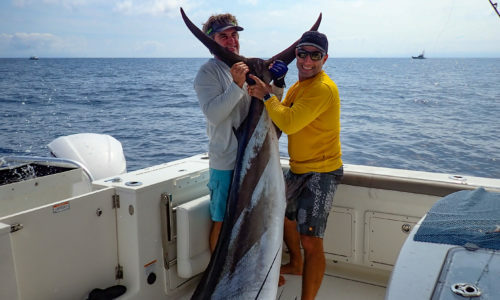 Tuna, Amberjack Fish, Blue Marlin, Striped Marlin, Mahi Mahi Fish, Sailfish, Bass, Yellowfin Tuna, Snapper and Waterloo Fish are just some of the amazing fish you can catch while deep sea fishing in the area. 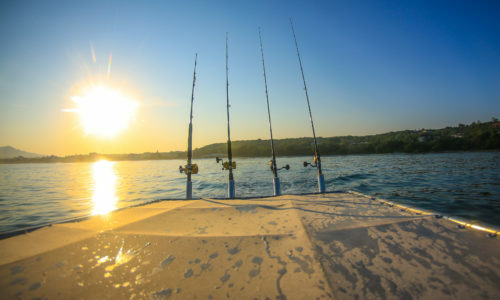 Includes: fishing gear, live well for bait, soft drinks, cooler for the catch of the day. 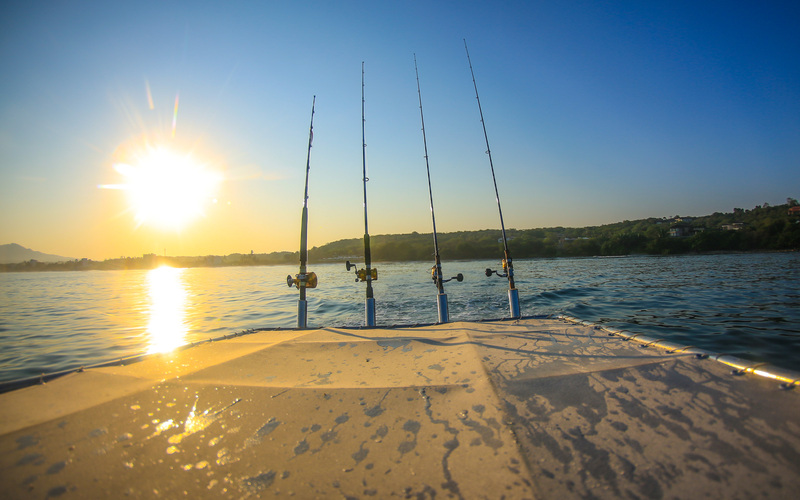 Reserve the ultimate fishing trip today! 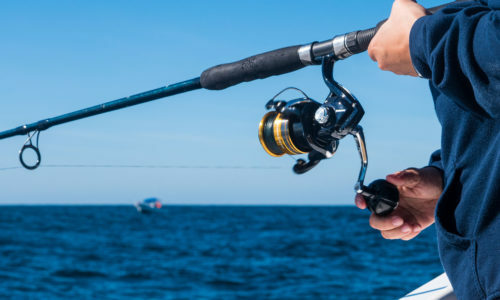 Our guides will get you hooked! 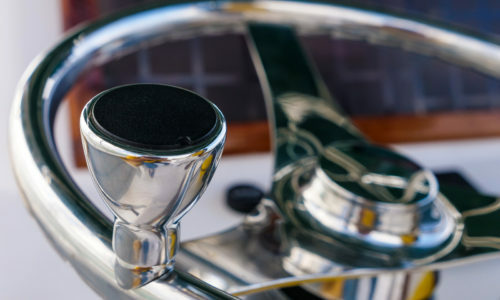 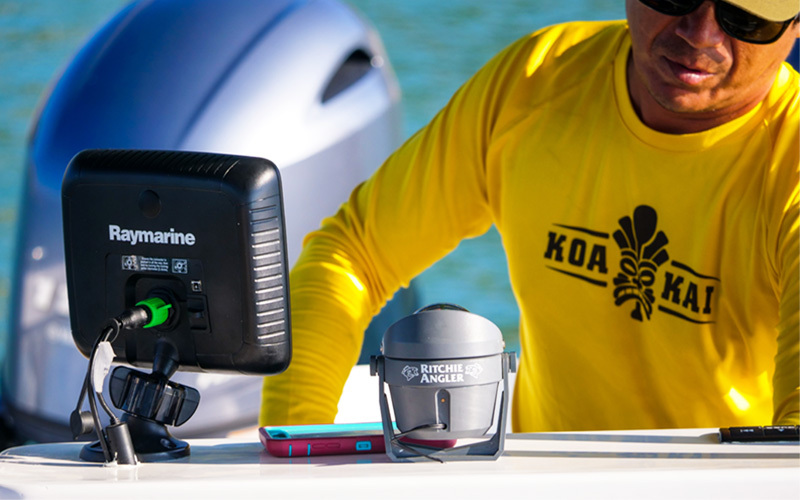 2 outboard 110 HP engines – Long shaded area – Wide cushioned benches – Bluetooth audio system – Fresh water shower – 3x cooler – Side ladders for boarding – Surf and SUP rack – Live well … and more! 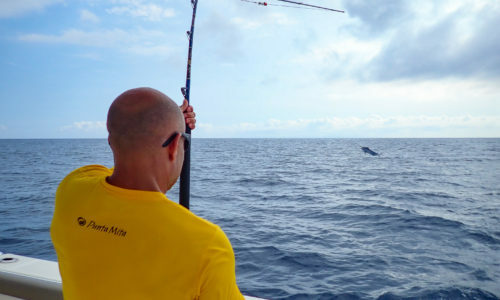 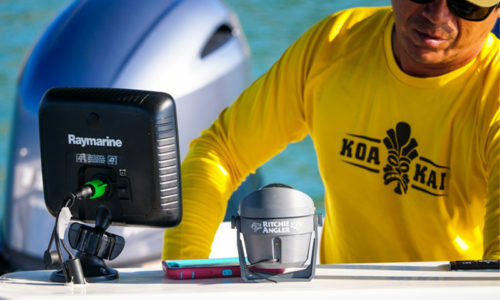 We believe the expertise of our crew is key to having a great time while fishing. 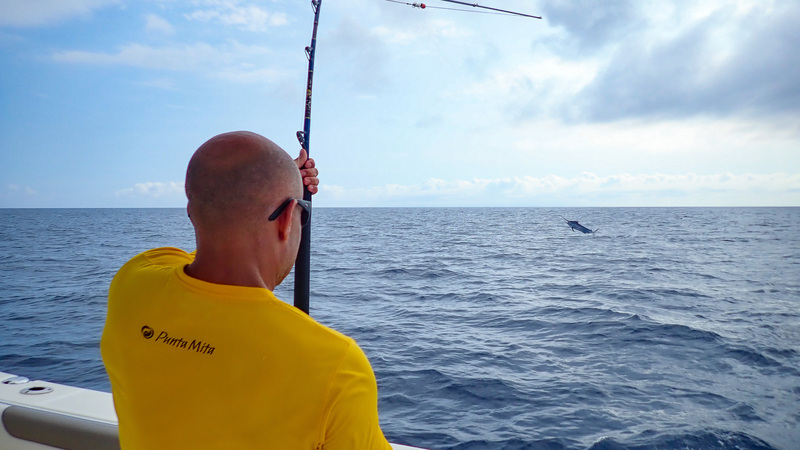 Let our experienced and friendly crew guide you to find different kinds of fish! 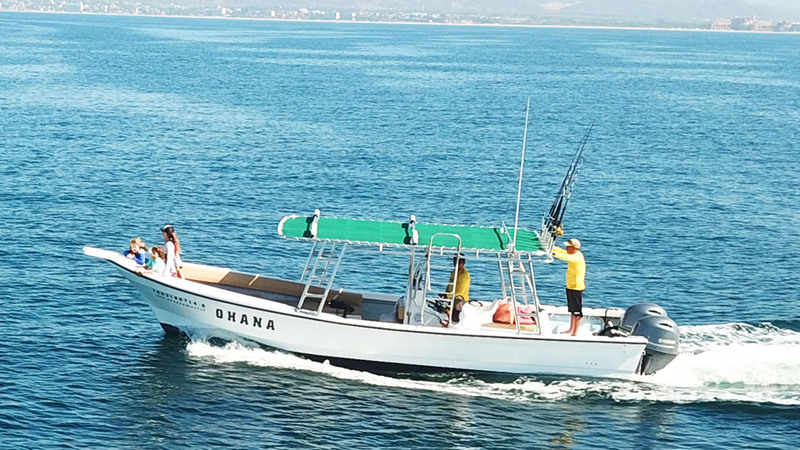 Our boat Ohana is shaded, comfortable, and fully equipped for a great small game fishing adventure. 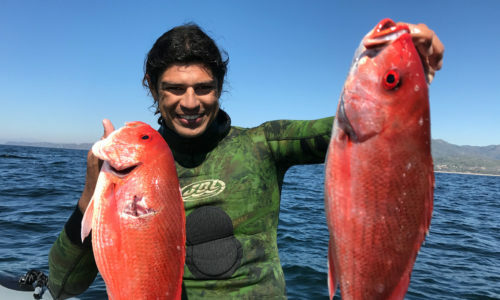 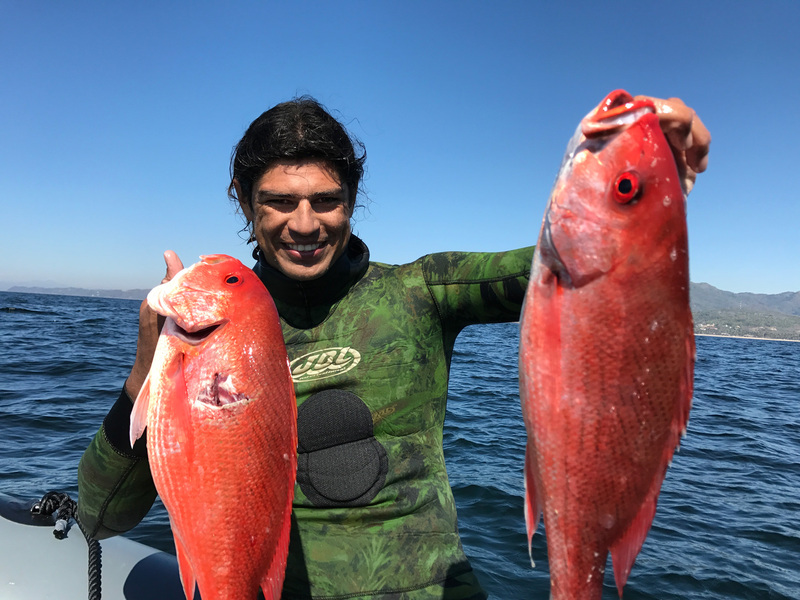 Our Captain can prepare a ceviche with the catch of the day. 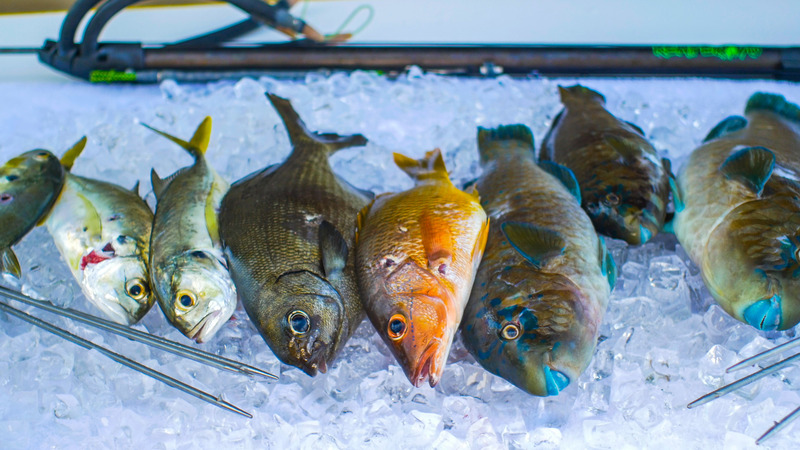 Can’t get fresher than that!